The selected card is lost in the deck. 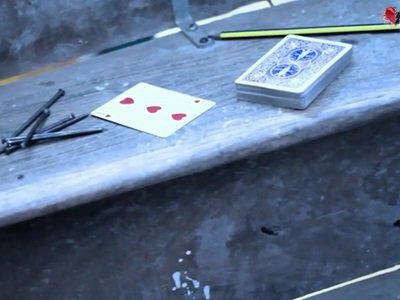 The magician takes a pencil and stabs through the center of the deck. Every single card is destroyed, but one card remains unharmed, that's the selected card.